I don't think I have used had a product that has such a strong scent of Lavender but that all changed when I used products from The Apothecary Room! 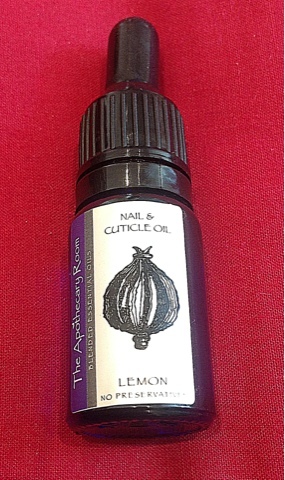 This mix of Lemon, Lavender and Sweet Almond essential oil is easily absorbed into your cuticles. The lavender helps protect and heal the cuticle while the lemon brightens the nail along with adding a vibrant citrus scent. 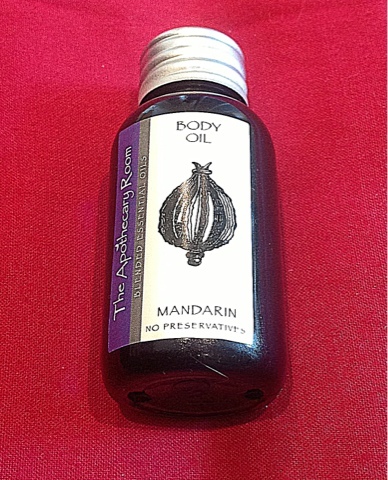 Rub the oil into the cuticle and nail once or twice a day to add nourishment and protection. This nourishing blend contains, Almond Vitamin E, Avocado and Jojoba and of course Mandarin, Geranium and Lavender for a fresh citrusy scent, uplifting and smoothing your body. Put some directly in the bath or massage onto the body when you get out.